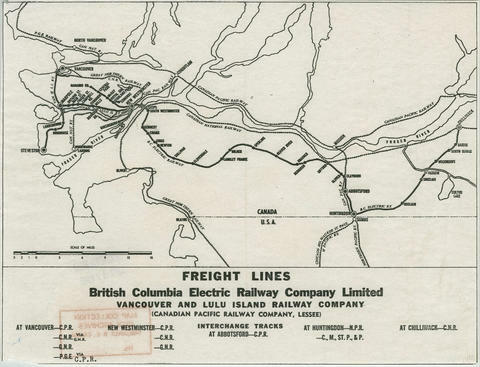 Item is a map showing railway freight lines and stops from North Vancouver in the north through northern Washington in the south, and from Chilliwack in the east to Steveston in the west. 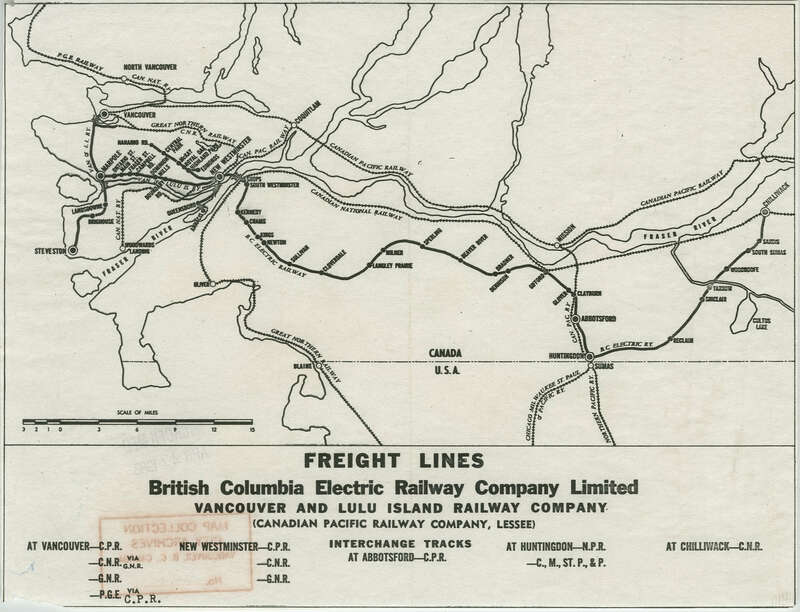 Map has a small tear in the lower left-hand corner. Use microfiche copy in the Reading Room.